HomeMusic VideosNEWS: While She Sleeps… are they “The Guilty Party”? 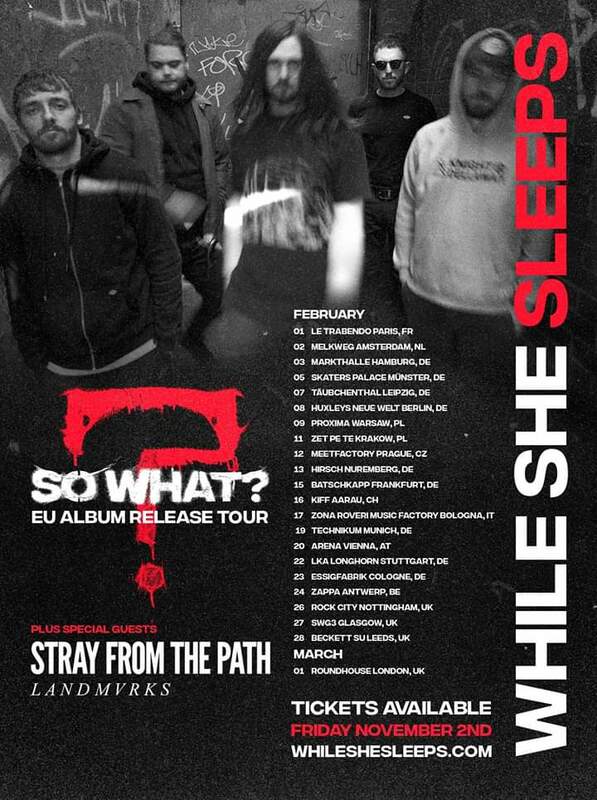 Sheffield Metalcore Masters While She Sleeps have premiered a second new song from their upcoming new album “So What?” Entitled “The Guilty Party”, the track will appear on the album that is out on 1st March – the same date as the final UK show on their album release tour – which itself takes place at The Roundhouse in London! That show will see support from Trash Boat, Stray From The Path and of course Landmvrks! NEWS: From Dismay drop “The Descent” music video!